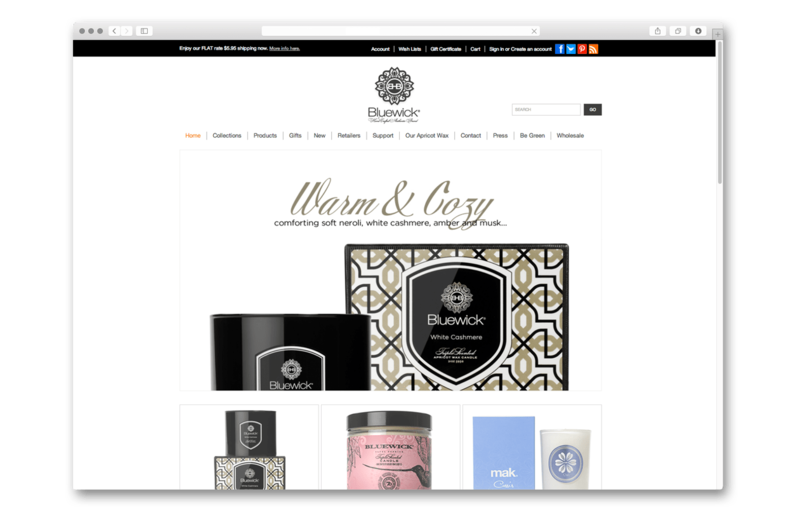 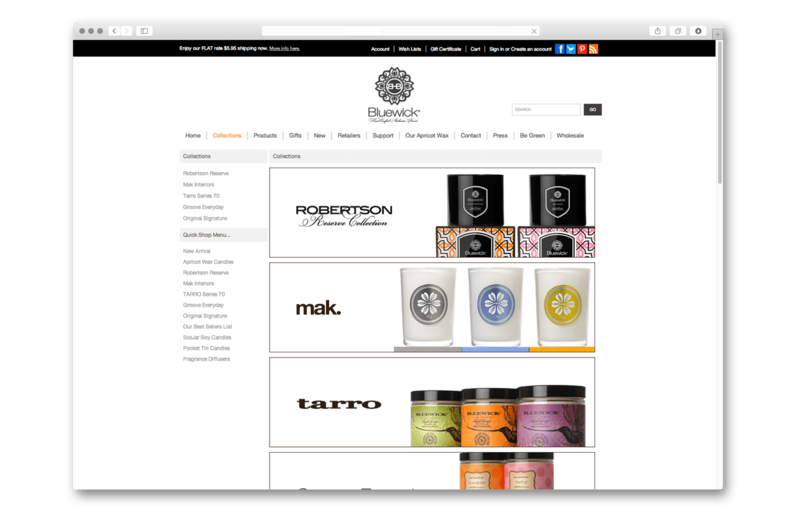 Candle manufacturer Bluewick is known for their quality scented candles; in addition to consumer sales, Bluewick provides branded candles for Starwood Hotels, Nordstrom Spas, Tory Burch and Jonathan Adler. 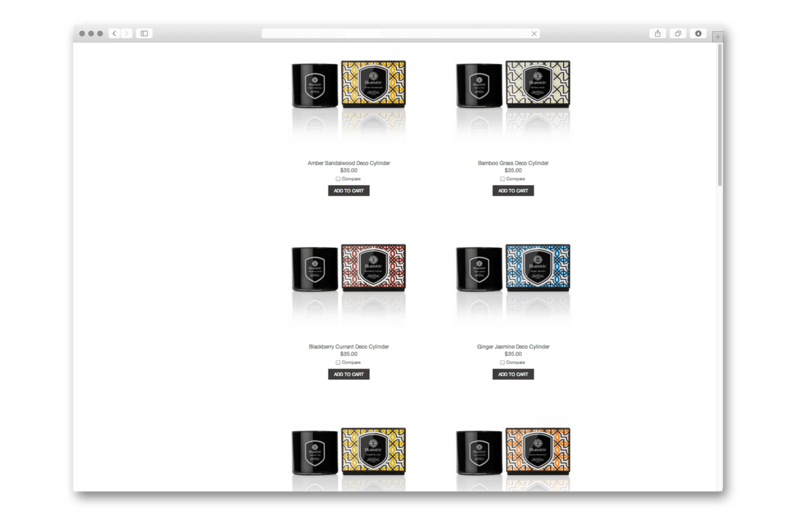 The unique scents are clever aromatherapy mixes designed to relax and invigorate. 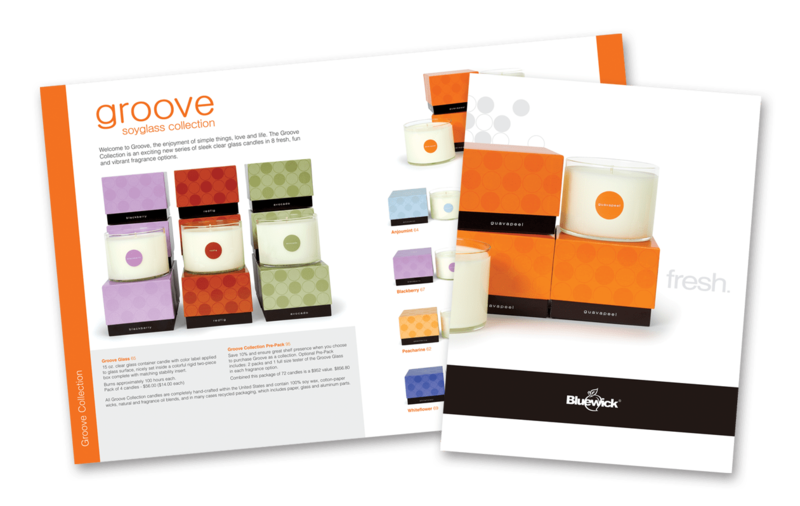 Bluewick wanted to inform consumers, retailers and trade show attendees about their products in a way that conveyed the elegant look and feel of the candles and establish a clean, simple image for the company. 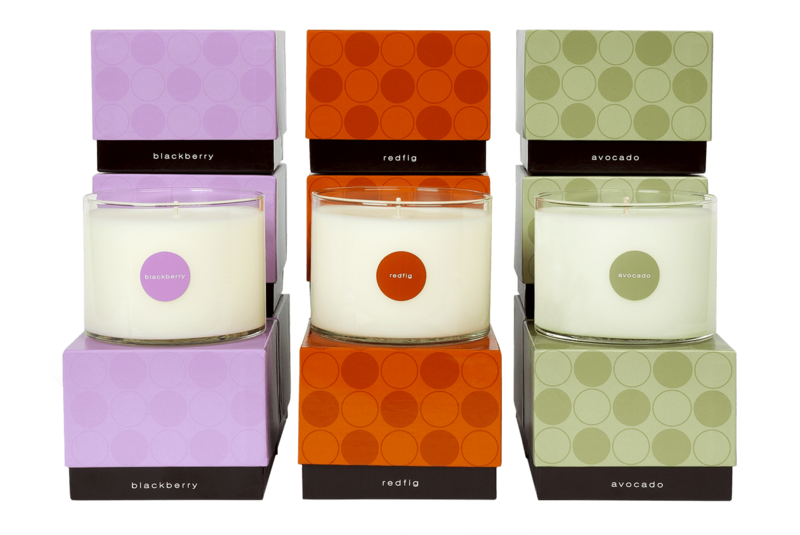 Research showed that scented candle products in the market were too confusing and overtly whimsical. 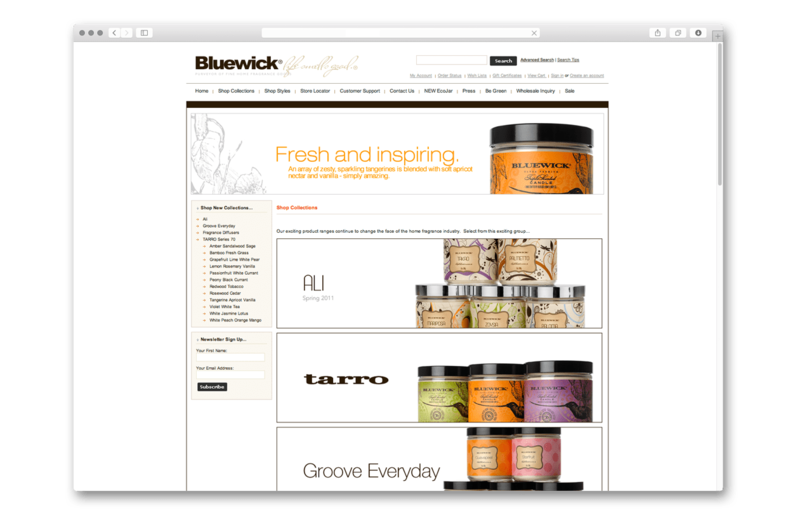 Bluewick sought to communicate that they were true to their products and their roots through their website, catalogs, packaging and marketing materials that portrayed their products with the same tone—clean and sophisticated. 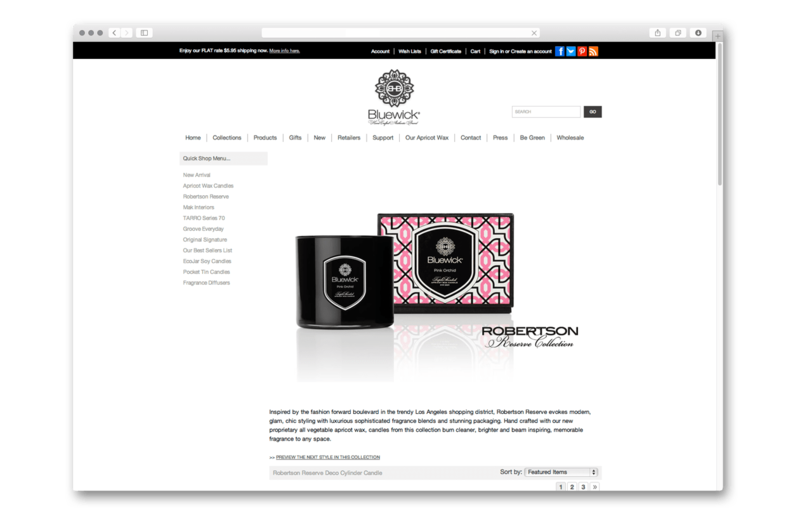 I created a branding solution using rich, fashionably styled photography that joined clean silo white backgrounds with a classy color palette and uncluttered layout. 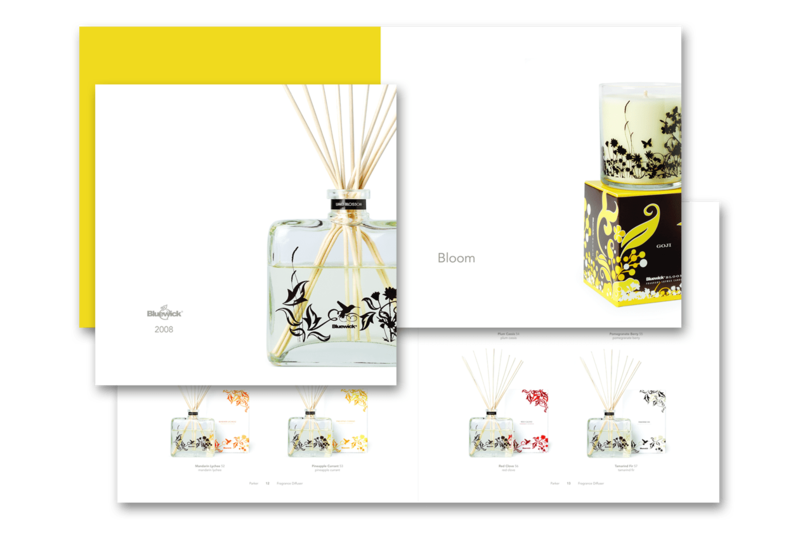 Copy and scent descriptions are direct and to the point in a reader-friendly, simple design. 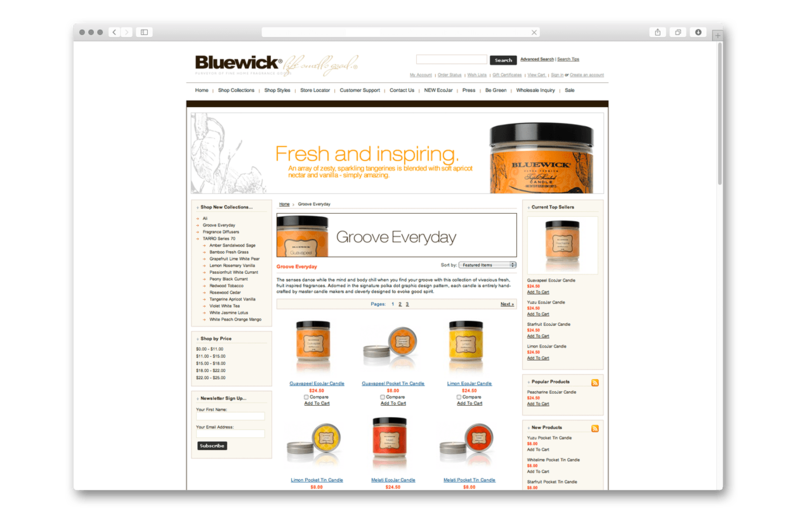 Similarly, the website user interface is direct and easy to navigate. 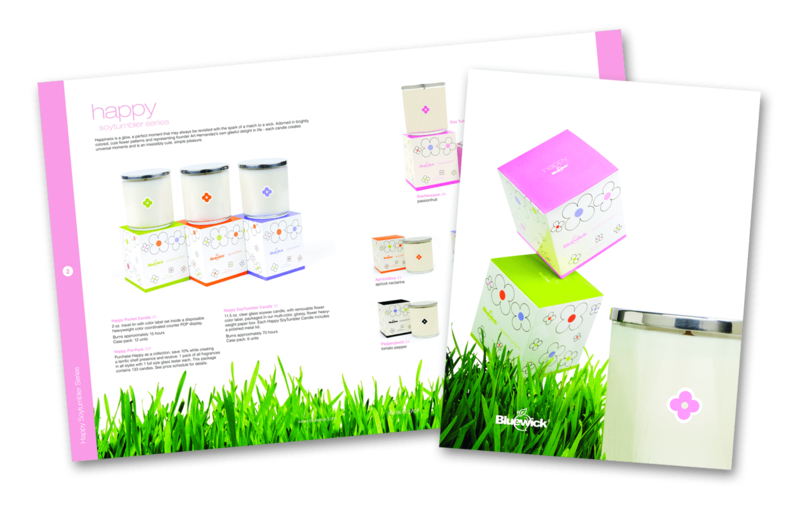 The new brochures have greatly increased the visibility of the entire product line and significantly boosted sales. 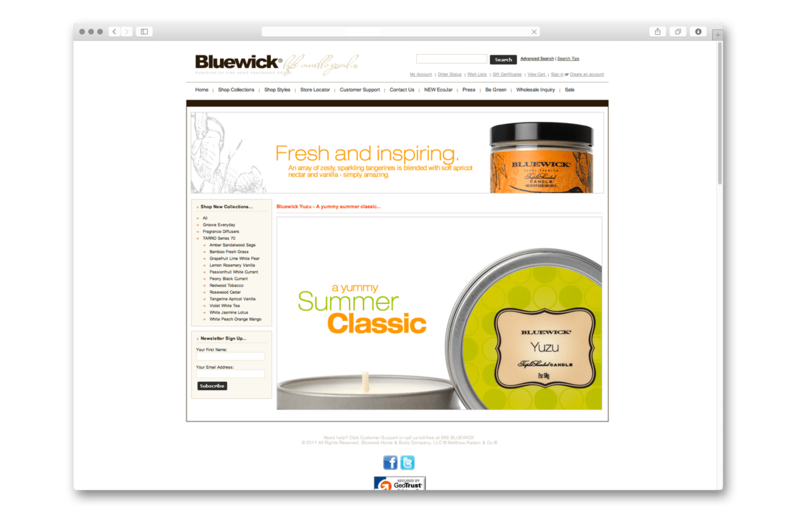 In the first five years since I established the branding style, Bluewick has seen a 525% growth in their product line.